Now, than you have installed and activated plugins ‘One Click Demo Import’ and ‘Contact Form 7’. You can import demo content. 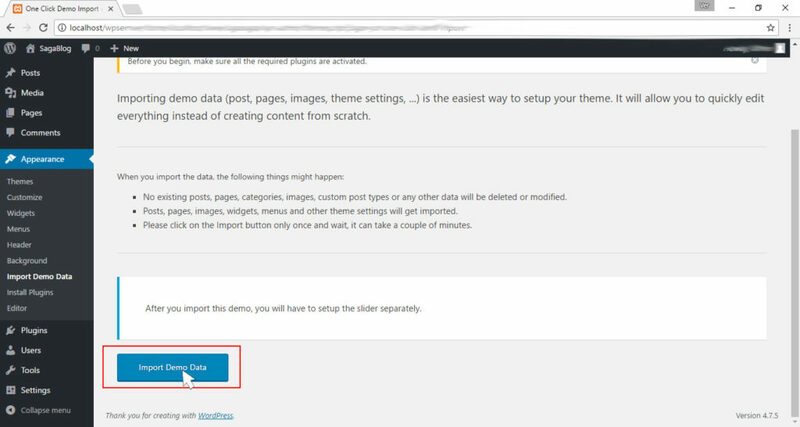 Now you can see demo content on your site. Now you must choose ‘Menu-demo’ how primary menu. 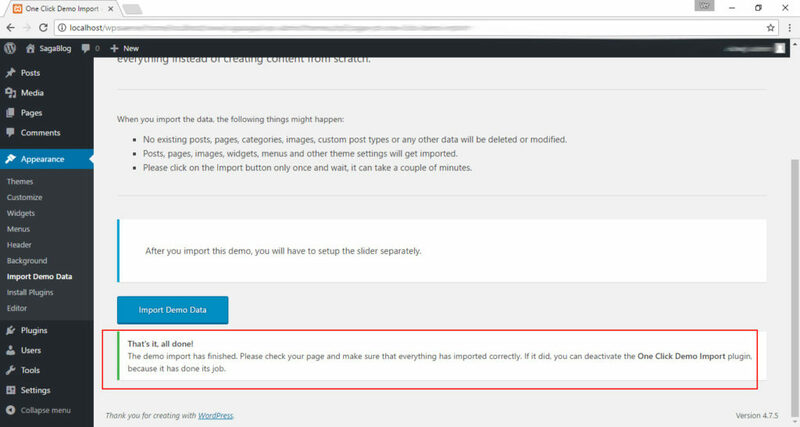 After that you can add slider using customizer.